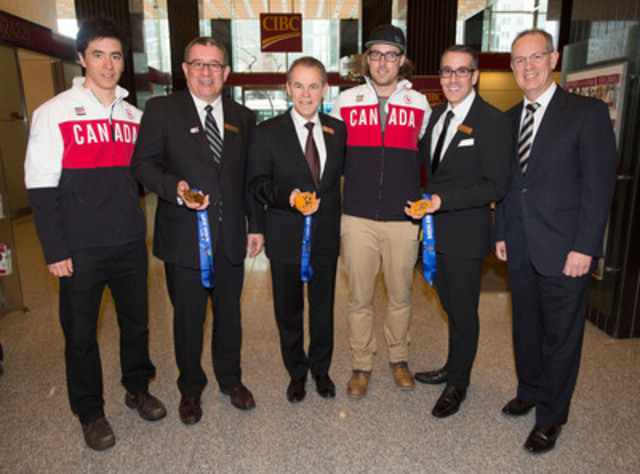 OTTAWA, March 28, 2014 /CNW/ - CIBC (TSX: CM) (NYSE: CM) branches nation-wide continue to host local CIBC Paralympian Welcome Home events, bringing together athletes, coaches, friends, families and communities. 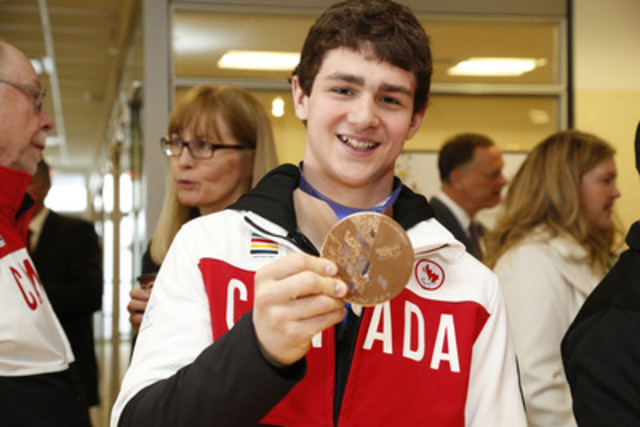 Events for multiple athletes took place today in both Ottawa and Montreal. Athletes received personalized Paralympian Welcome Home banners and limited edition gold-plated coins created by CIBC and the Canadian Mint. Key photo highlights from the day are below. 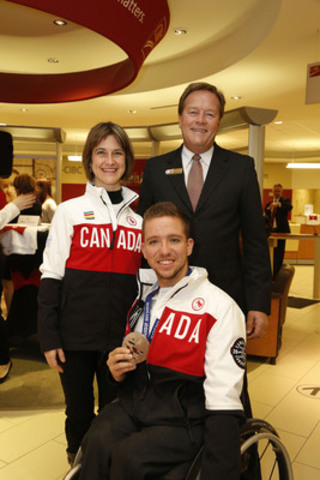 CAPTION: Montreal, Que - March 28, 2014 - Gold medallist para-Nordic skiing guide Graham Nishikawa and gold and double bronze medallist alpine skiing guide Robin Fémy receive their limited edition gold-plated coins at the CIBC Paralympic Welcome Home event in Montreal on March 28, 2014. PHOTOGRAPHY: Media are invited to visit photos.paralympic.ca and create an account to be able to download high-resolution photos of Canadian Paralympic athletes at any time, at no cost.